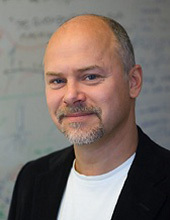 Lars Lindkvist is associate professor in product and production development. His research is about creating methods and tools for simulation and evaluation of geometrical robustness and the effect of variation on product performance. This work includes industrial design aspects, visualization, robust design, variation simulation, optimization, assembly modeling and analysis, and inspection preparation. The research is done in close collaboration with the industry. A number of the research results have been implemented in commercial software products that are used by international companies. There might be more projects where Lars Lindkvist participates, but you have to be logged in as a Chalmers employee to see them.